This paper presents a theoretical and experimental investigation of the Brownian motion control of an optically trapped probe. The Langevin equation is employed to describe the motion of the probe experiencing random thermal force and optical trapping force. Since active feedback control is applied to suppress the probe’s Brownian motion, actuator dynamics and measurement delay are included in the equation. The equation of motion is simplified to a first-order linear differential equation and transformed to a discrete model for the purpose of controller design and data analysis. The derived model is experimentally verified by comparing the model prediction to the measured response of a 1.87 μm trapped probe subject to proportional control. It is then employed to design the optimal controller that minimizes the variance of the probe’s Brownian motion. 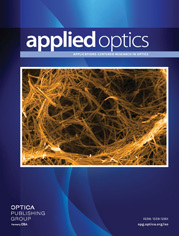 Theoretical analysis is derived to evaluate the control performance of a specific optical trap. Both experiment and simulation are used to validate the design as well as theoretical analysis, and to illustrate the performance envelope of the active control. Moreover, adaptive minimum variance control is implemented to maintain the optimal performance in the case in which the system is time varying when operating the actively controlled optical trap in a complex environment.